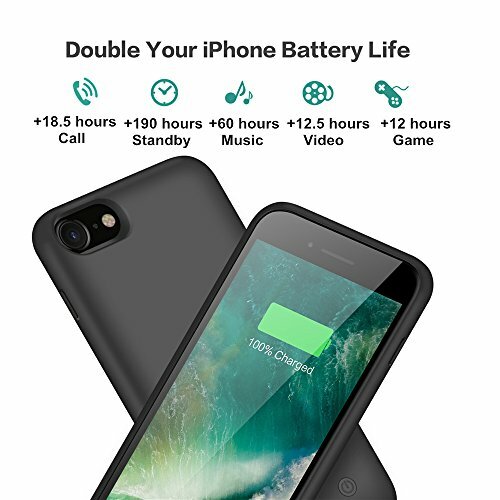 🍀【Long life of battery case】 6000 mAh powerful rechargeable portable battery case for your iPhone 6/6S/7/8, up to 280% standard battery provide an extra 190 hours standby, 18.5 hours talk time, 12.5 hours video, 15 hours web browsing or 12 hours gaming to your Phone.Perfectly suited to your iPhone 6/6S/7/8, designed specifically for the 4.7 inch model. 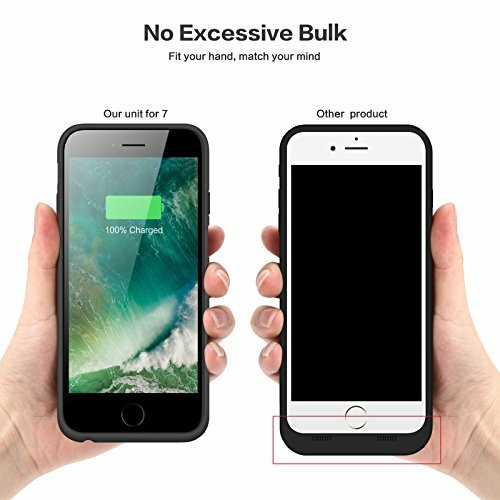 🍀【Charging and Protecting 2in1】High quality battery case 6000mAh for iPhone 6/6S/7/8 with 360°scratch-guard, dual layer protection to protect your iPhone 6/6S/7/8 from scratches and other daily wear and tear. Internal safe chips prevents the power case short-circuiting, overheating and over-charging. Perfect charging your iPhone 6s /6 battery power, LED indicator will show how much power is left. 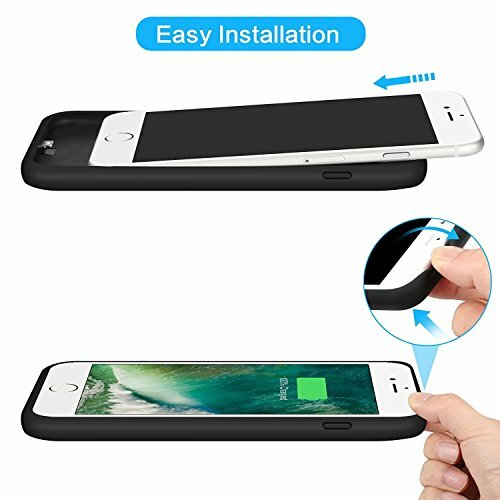 🍀【Ultra thin & Easy Installation】 Without doubling its size, adding only 0.18 inch and 108 g battery case to your iPhone 6/6S/7/8, insert your iPhone 6/6S/7/8 into the lightning output port. 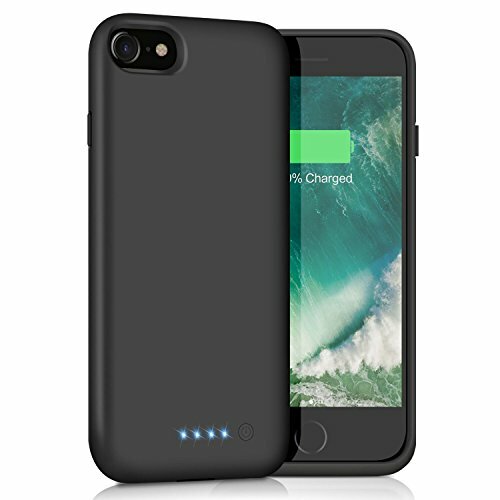 This battery case for iPhone 6/6S/7/8 uses a lightning input port to enable recharging and data transfer. 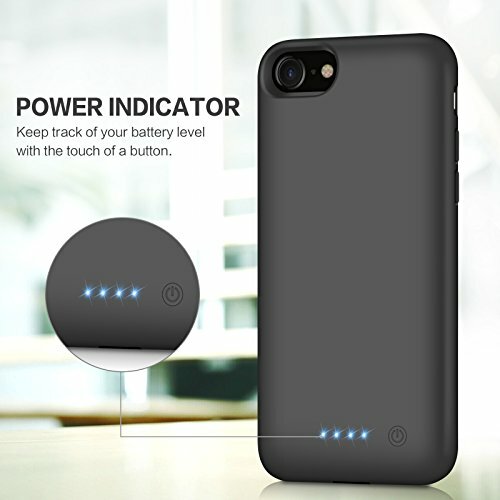 🍀【Advanced Sync-through Technology】 You can simultaneously charge your phone charger and iPhone 6/6S/7/8, easily sync your iphone data to your Macbook, PC or laptop without having to remove the holster from the battery; You can also access the phone's speaker, camera button and more without removing the case. 🍀【What You Will Get】 1xBattery Case [6000mAh] for iPhone 6/6S/7/8, 1xUser Manual. Also 24 MONTHS WARRANTY :your purchase in our store is 100% guaranteed, any problem, please do not hesitate to contact us. (within 24 hours reply). 6/6S/7/8 at anytime and anywhere. 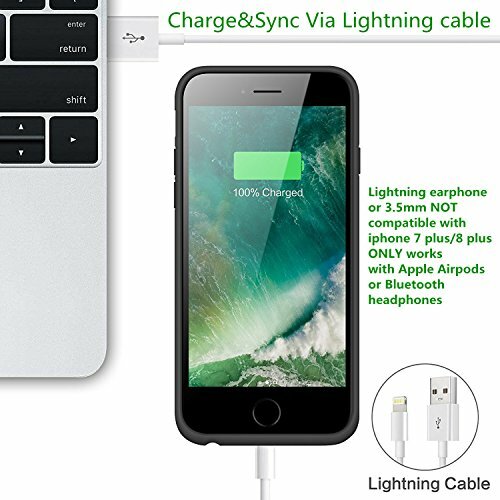 Lightning headphones, 3.5mm headphone jack adapter when phone use battery case charging. 🍀When you use it first time, Please use up the battery life and then full charging 6-8 hour after battery drain. 🍀Designed for iPhone iPhone 6/6S/7/8,make your iPhone special style. 🍀High class material to protect your iPhone 6/6S/7/8. 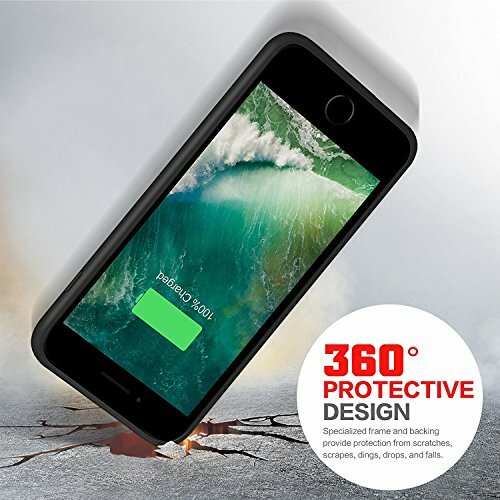 Charging and protection 2 in 1. 🍀Perfect cutouts allow access to all cameras, microphones, sensors, controls.